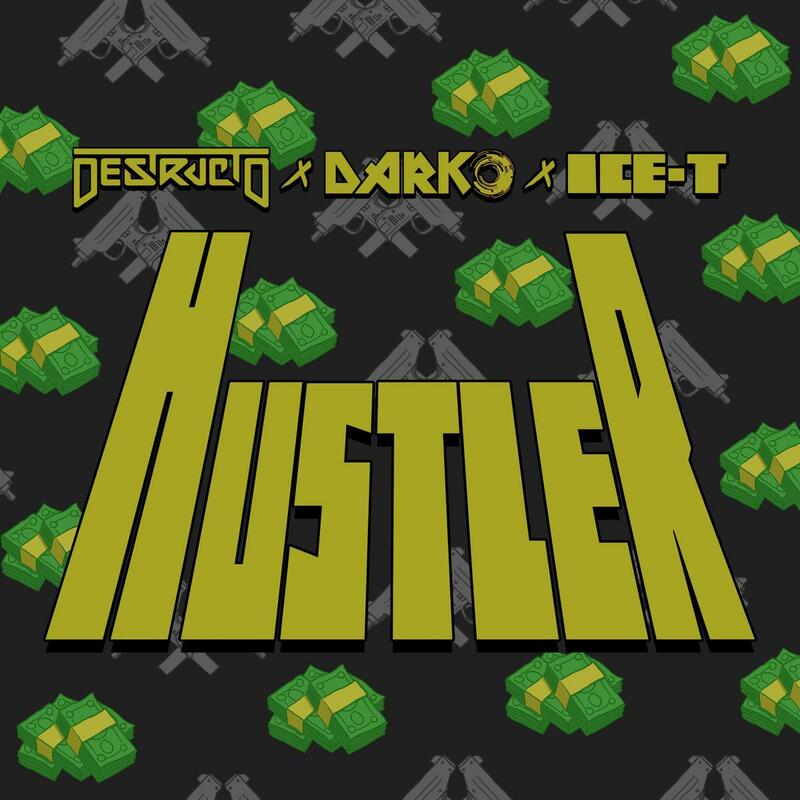 Following the recent success of DARKO’s remix of Makenna “Ready For Love,” comes the world premiere of “Hustler” by Destructo x DARKO x Ice T. “Hustler” sees its official release on Wednesday, March 27 through ADIO Music Group. “Hustler” is a hard-hitting trap tune, which samples Ice-T’s vocals from the classic song “New Jack Hustler,” originally released in 1991. Bringing new life to the original Ice T vocals, the updated “Hustler” proves that Ice T never really goes out of style. Blending EDM and hip-hop, “Hustler” from Destructo x DARKO intertwines the perfect combination of some of the finest musical genres. Gary Richards, better known to dance music enthusiasts as Destructo, is known for his initial work with his HARD events and festivals, and now All My Friends. He has worked alongside the likes of Busta Rhymes, Ty Dolla $ign, Freddie Gibbs, YG, and many more. Los Angeles-based production duo and DJs, DARKO, is signed to ADIO Music Group. The pair has released “No Names” with Evante and Mozzy, and are fresh off a performance at the Colours Couture showcase at SXSW. Over the next 3 months, ​DARKO shows no signs of slowing down with releases lined up with Christina Milian, Tyga, ​and​ Waka Flocka Flame. ‘Hustler’​ ​with​ Destructo ​and ​Ice-T​ is out now.